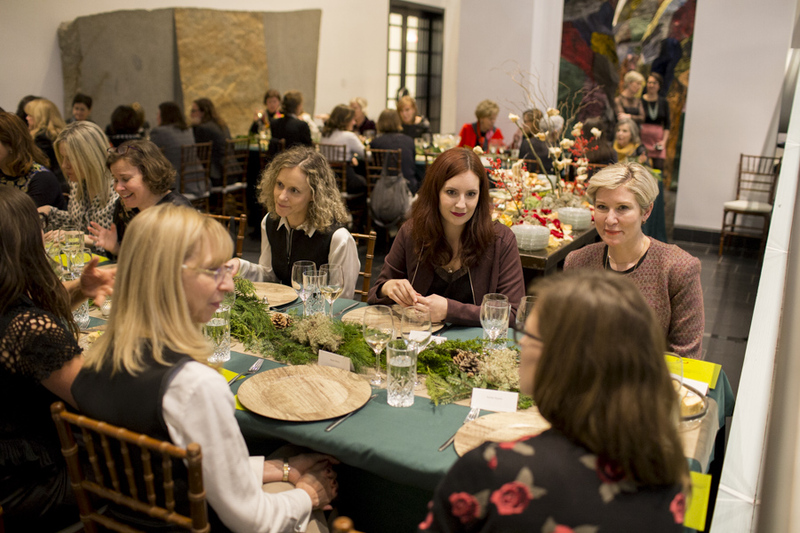 In addition to the privileges of the President’s Circle, WIC members receive an invitation for 1 person to 2 exclusive WIC soirées. 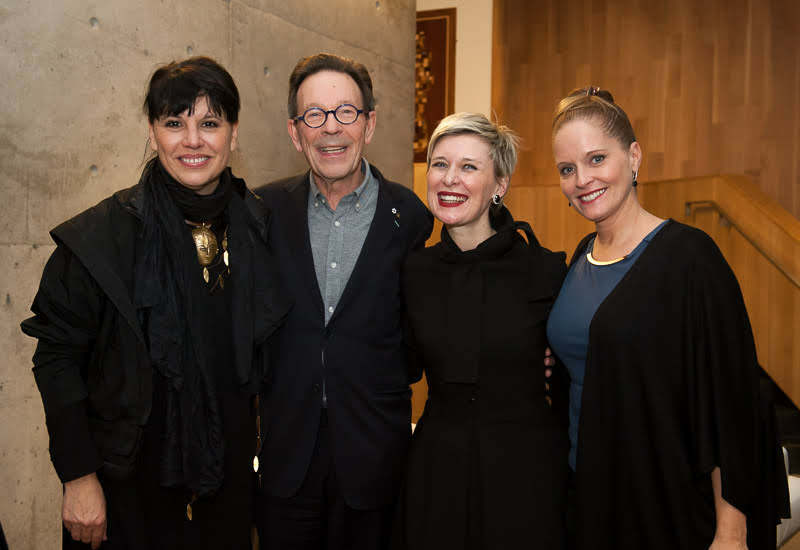 On February 18, in the presence of Nathalie Bondil, Director General and Chief Curator of the Museum; Thomas Bastien, Director of Education and Well-being; Michel de la Chenelière, a major patron of education; Stephen Legari, Head of Education and Art Therapy Programmes; and Stephanie Rossy-Beauchamp, who generously supports the art therapy programme at the Museum, the MMFA Women of Influence Circle and its guests participated in a banquet on art therapy. 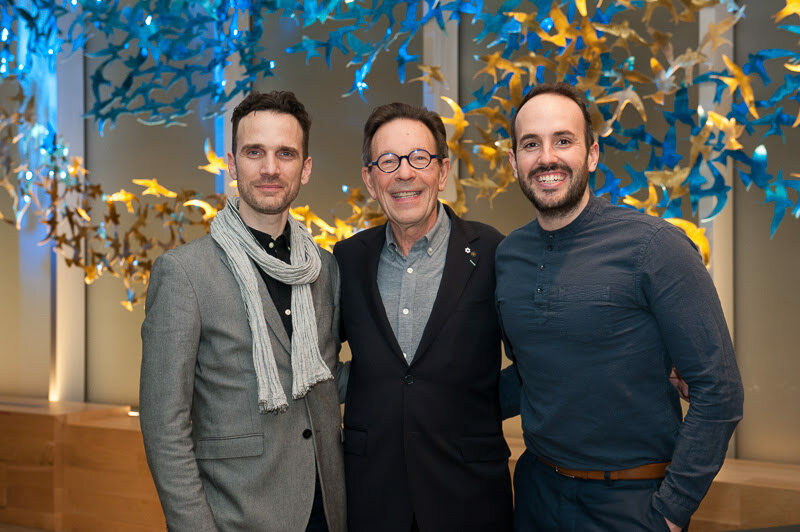 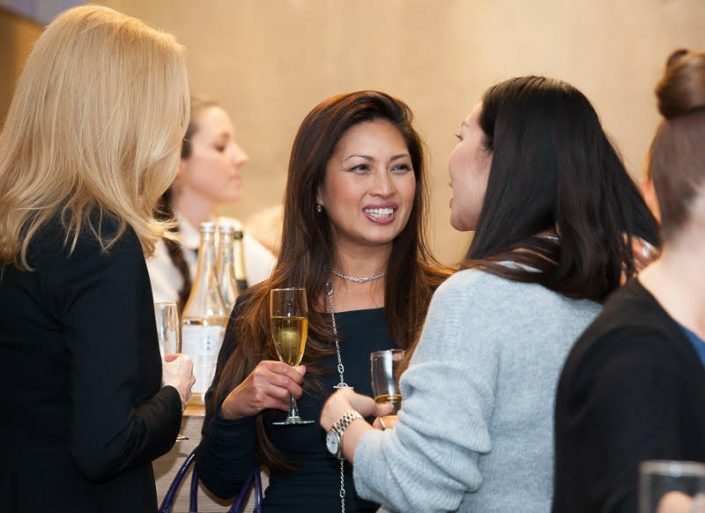 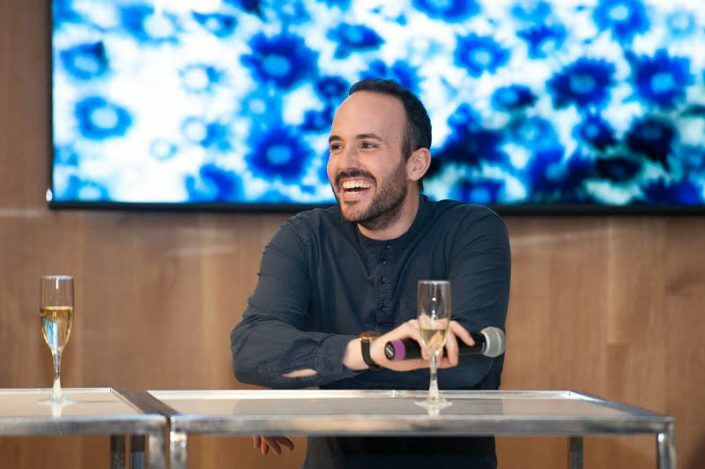 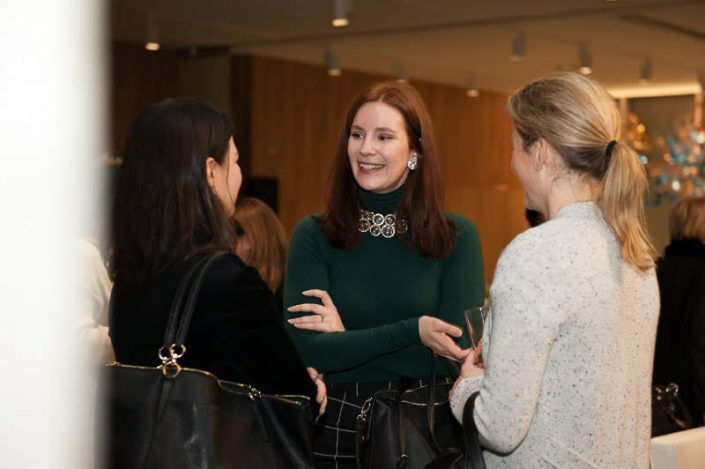 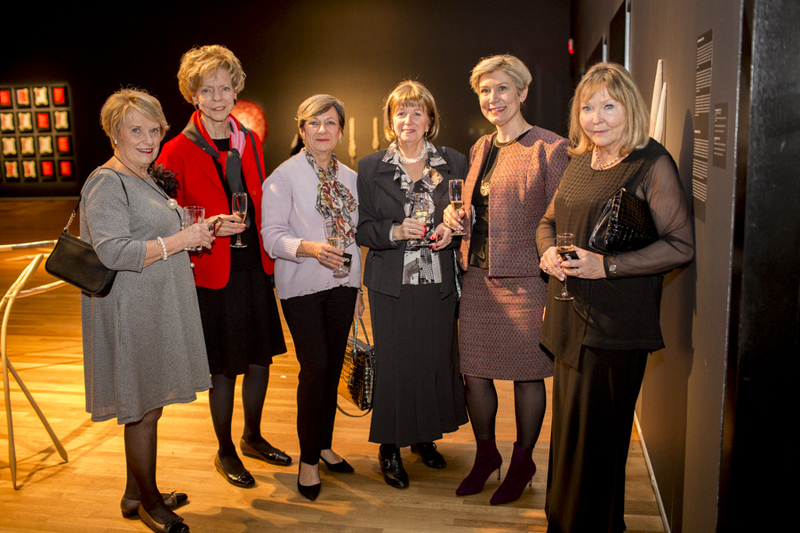 Throughout the evening, guests were able to discuss the positive impact of art on the well-being and physical and mental health of individuals. 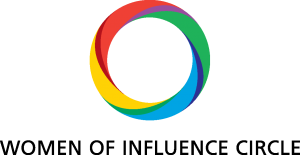 Through its various actions and collaborations, the MMFA implements various programmes and activities to promote the well-being of several demographics. 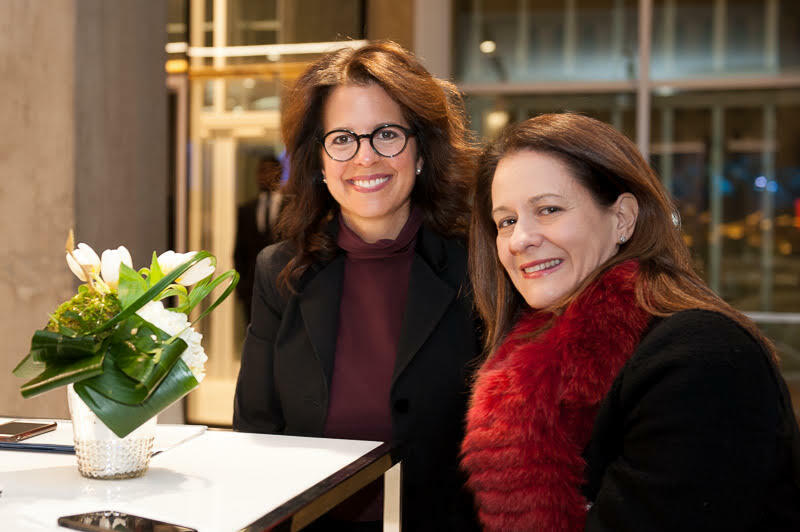 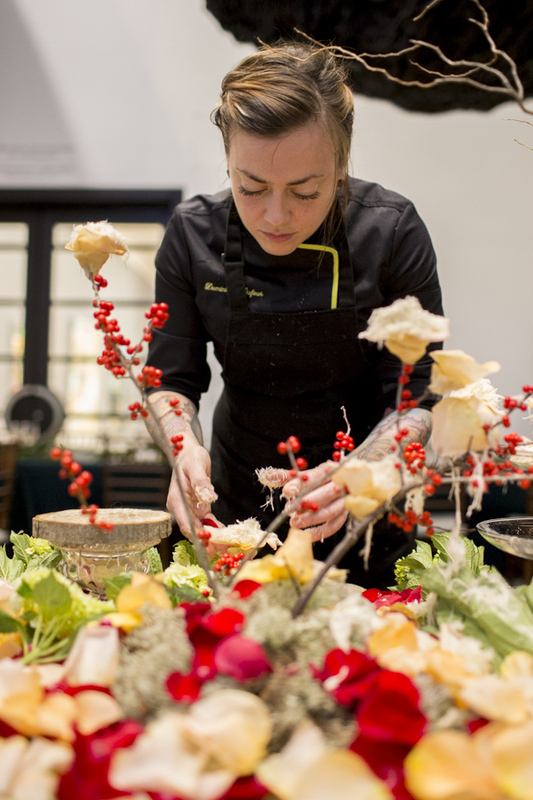 The Women of Influence Circle presented by National Bank – Private Banking 1859 would like to thank the partners: National Bank Private Banking, ABP location, Forand Événement, Charlotte Lefebvre floral decoration, Olive Orange, Select Wines. 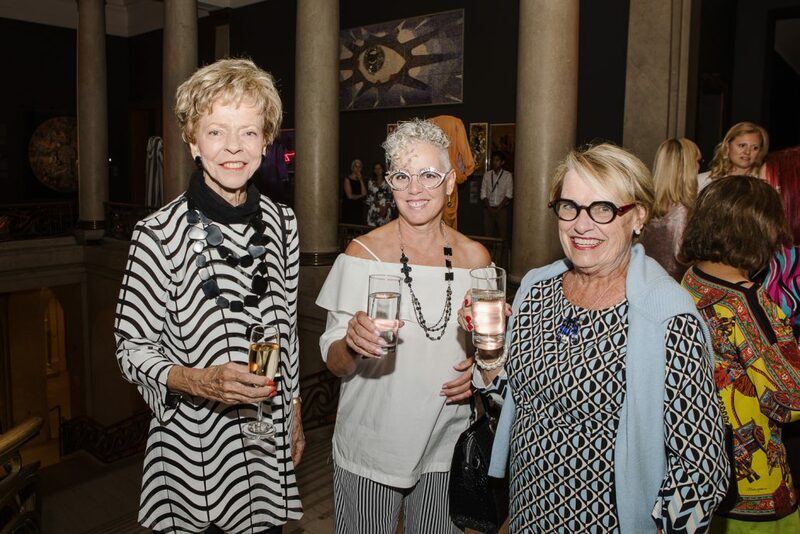 The MMFA sincerely thanks the Women of Influence Circle, which encourages and supports exhibitions devoted to women artists, the acquisition of works by women artists and access to the Museum’s various programmes for women from less privileged backgrounds. 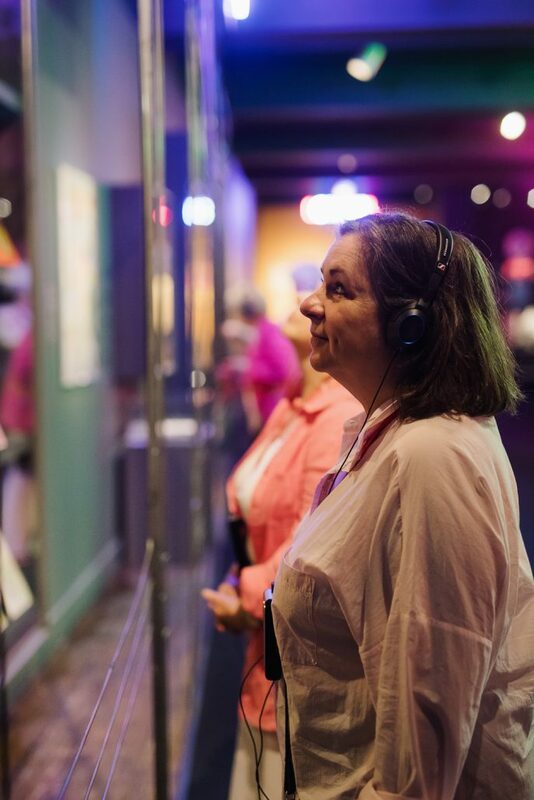 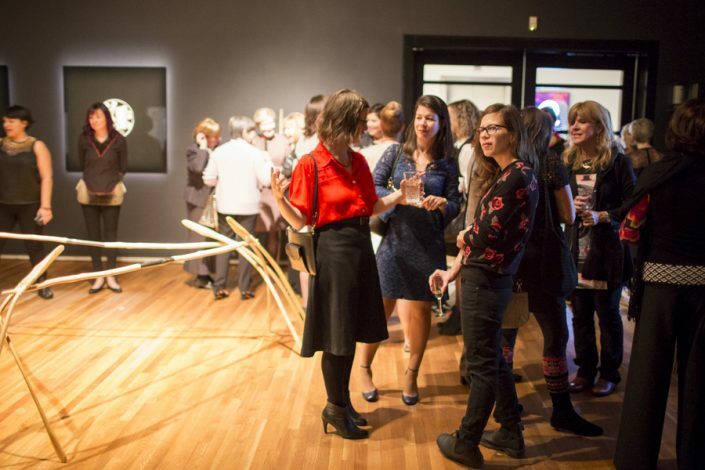 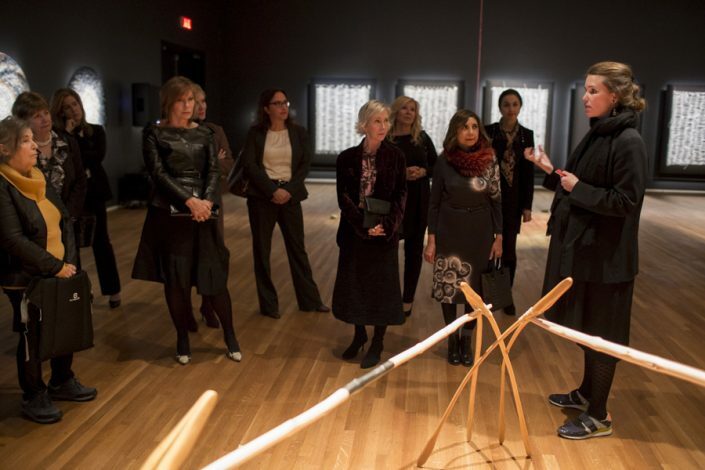 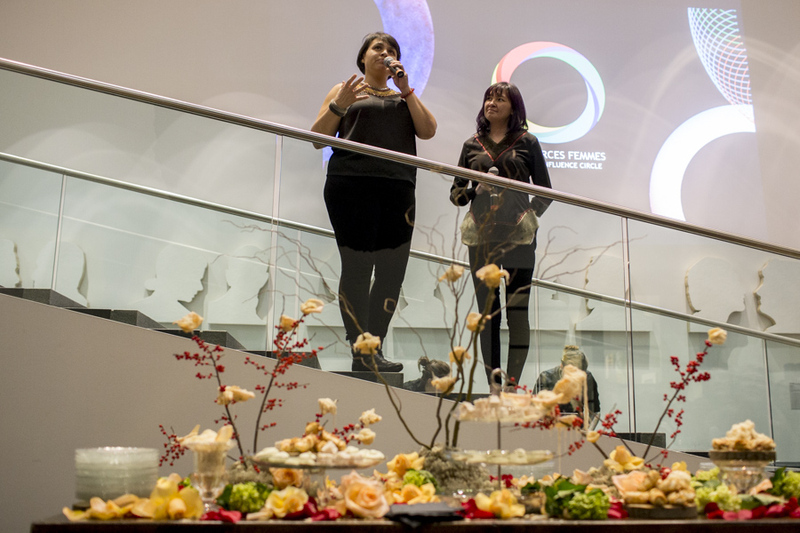 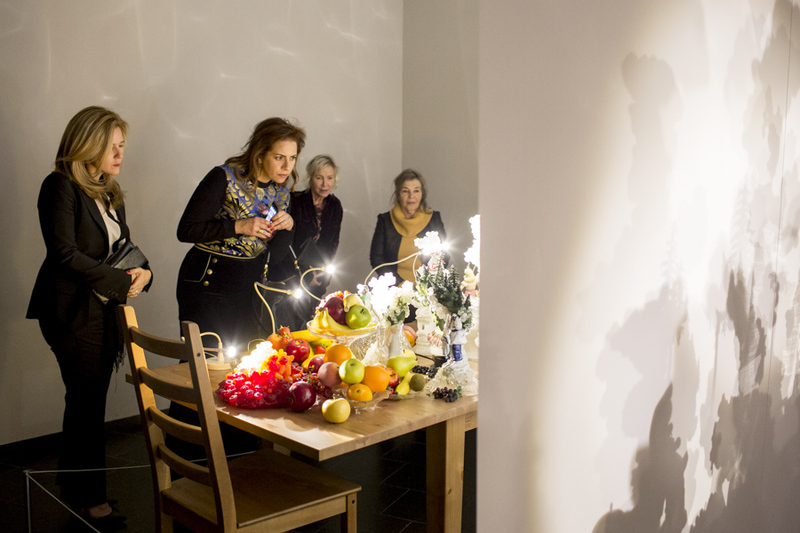 For this new WIC event, some 40 guests were immersed in the world of the exhibition Scattered Remains / Tout ce qui reste by Nadia Myre, and they were invited to visit the exhibitions Woman. Artist. 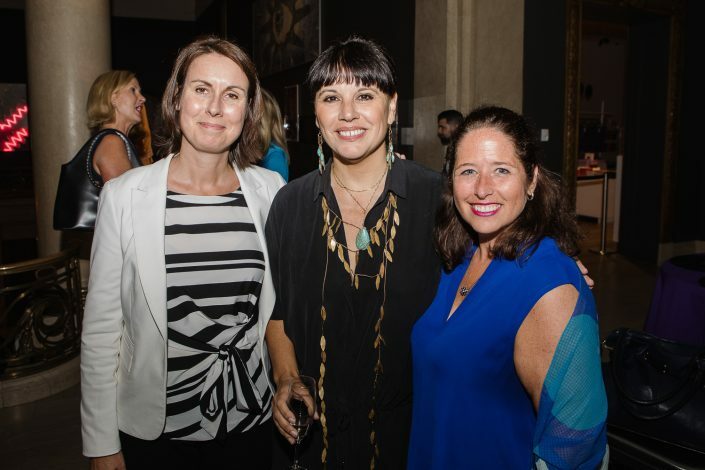 Indigenous. 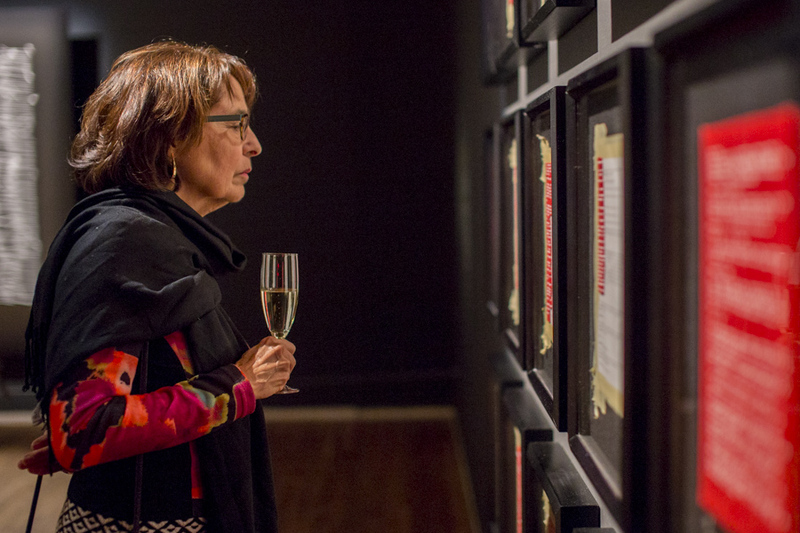 and Mnemosyne: When Contemporary Art and the Art of the Past Meet. 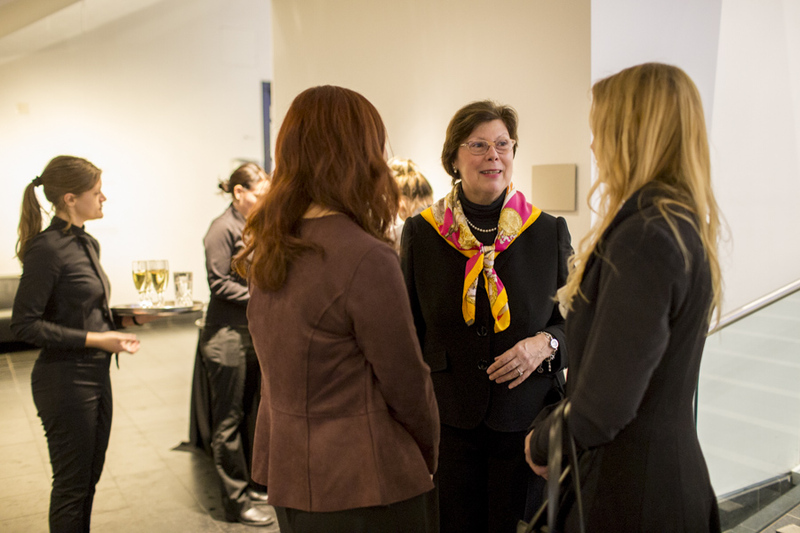 These visits were punctuated by discussions with Dianne Charbonneau, Curator of Modern and Contemporary Decorative Arts and Photography, Geneviève Goyer-Ouimette, Gail and Stephen A. Jarislowsky Curator of Quebec and Canadian Contemporary Art (1945 to today), and Mary-Dailey Desmarais, Curator of International Modern Art. 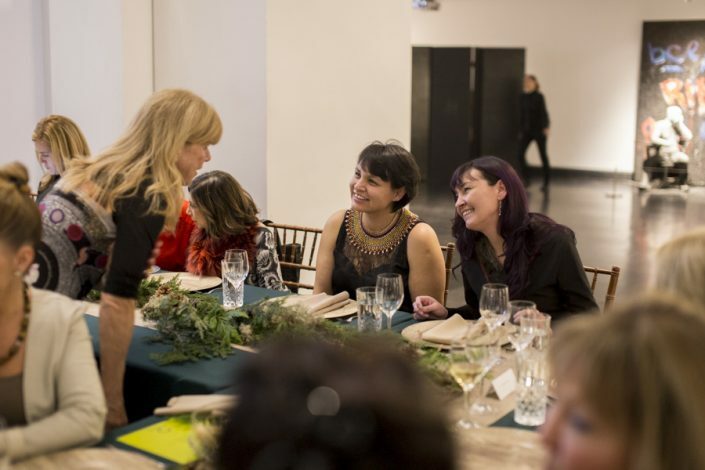 The women in attendance were moved by singers Evie Mark and Akinisie Sivuarapik and by the culinary exploits of Dominique Dufour, Chef at Ludger and Magdalena and initiator of the movement Les Femmes Chefs de Montréal. 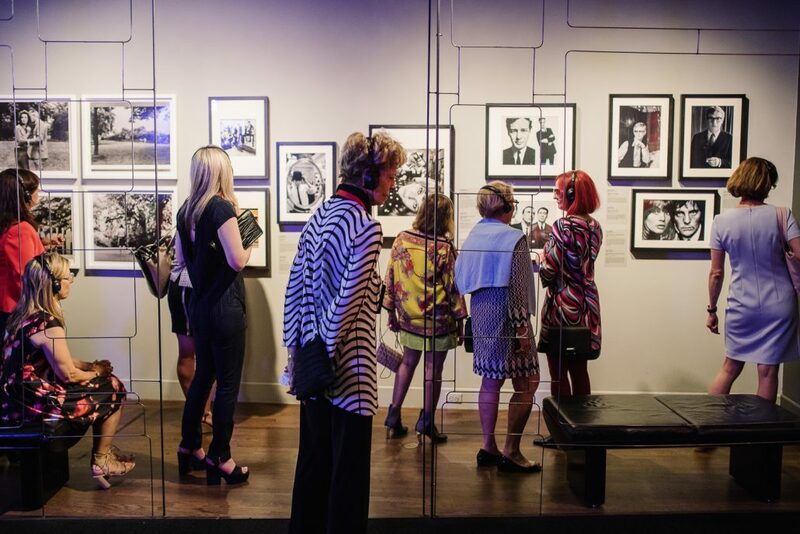 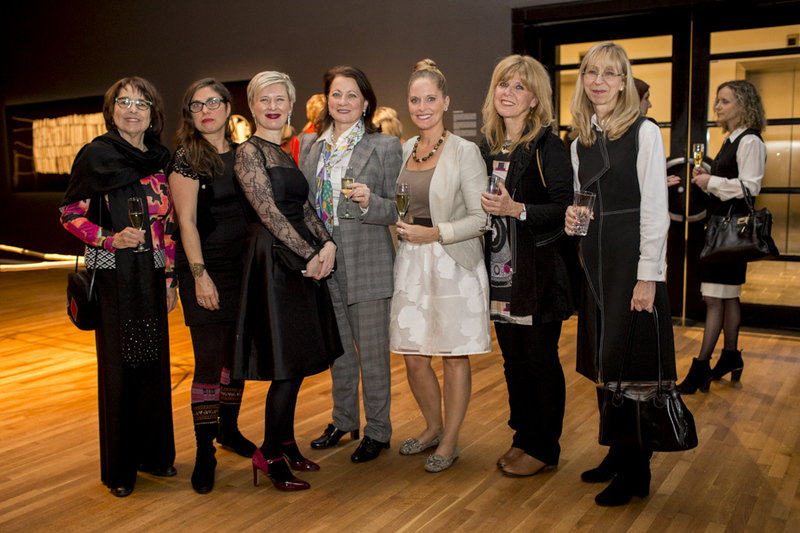 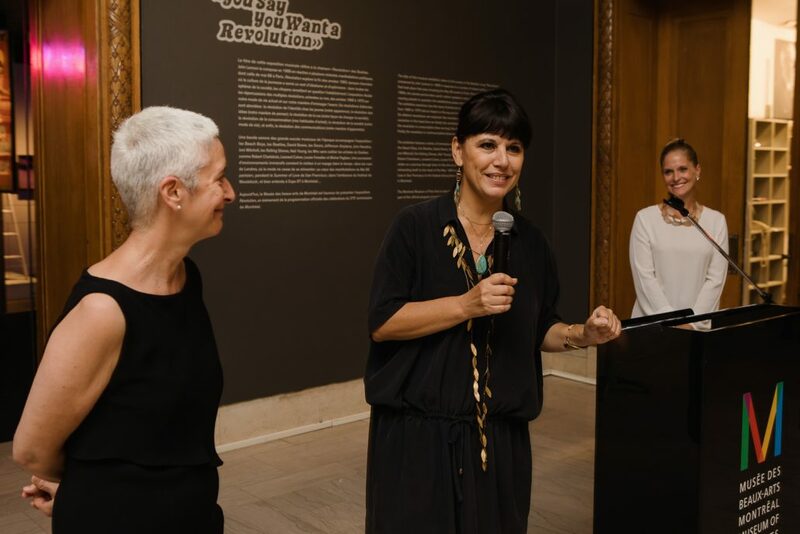 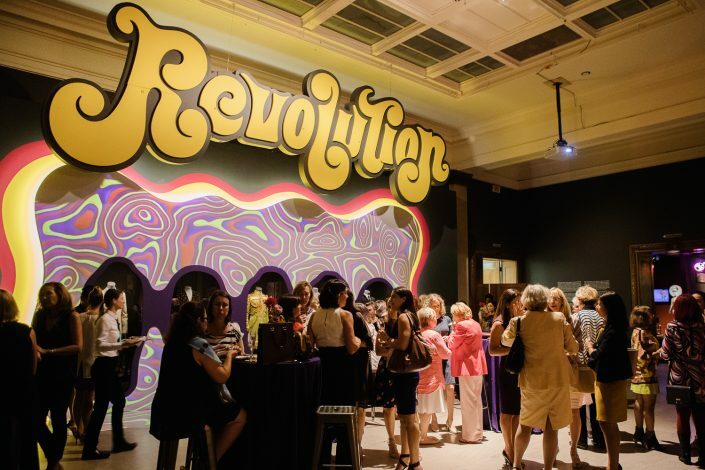 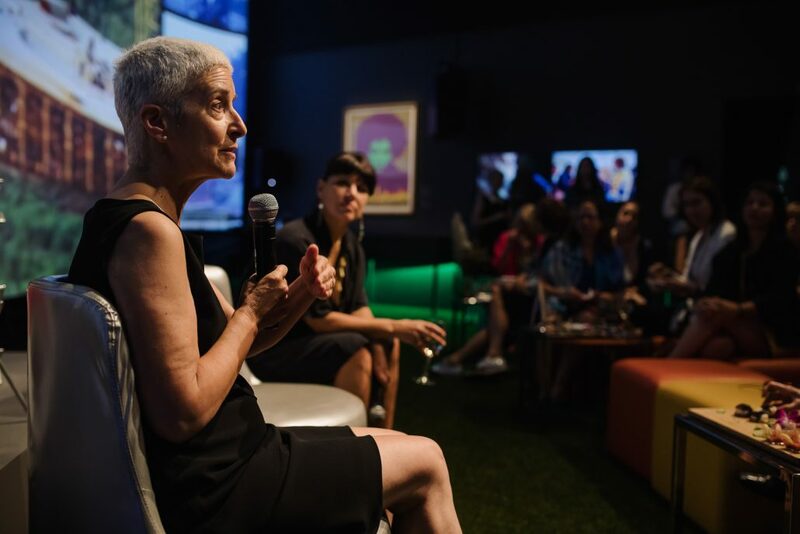 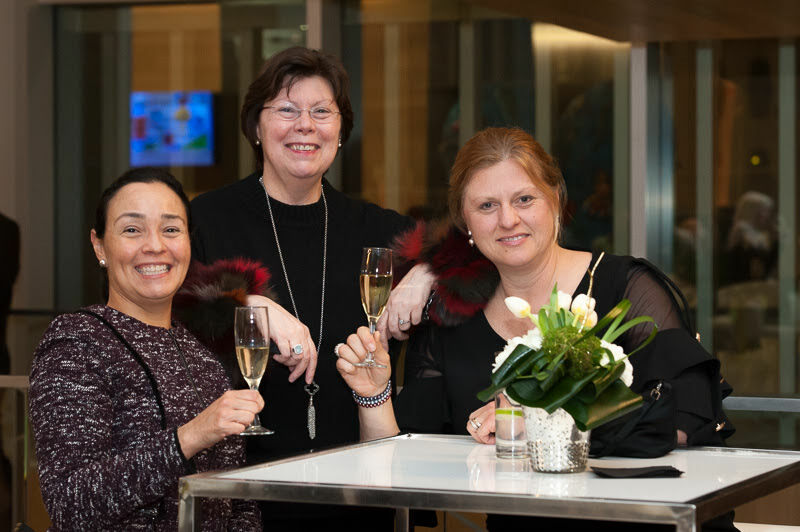 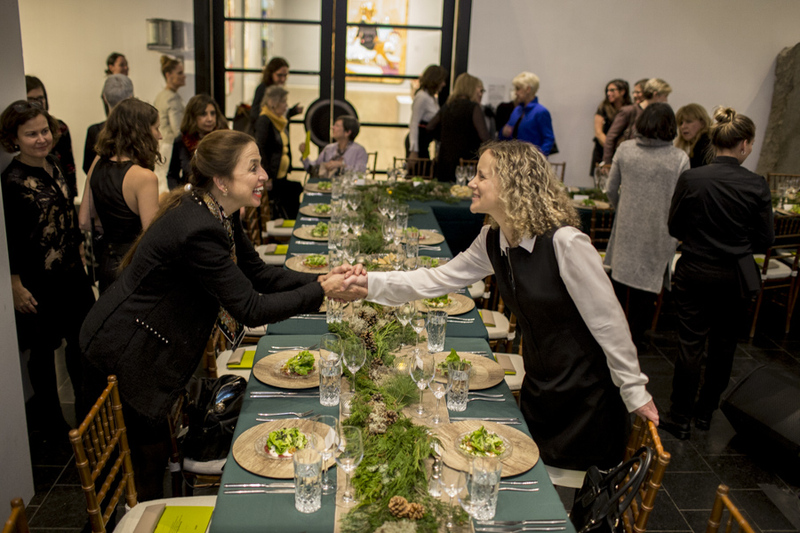 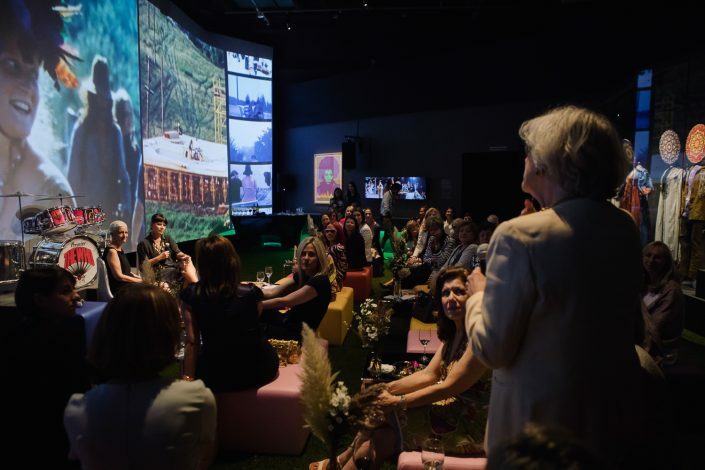 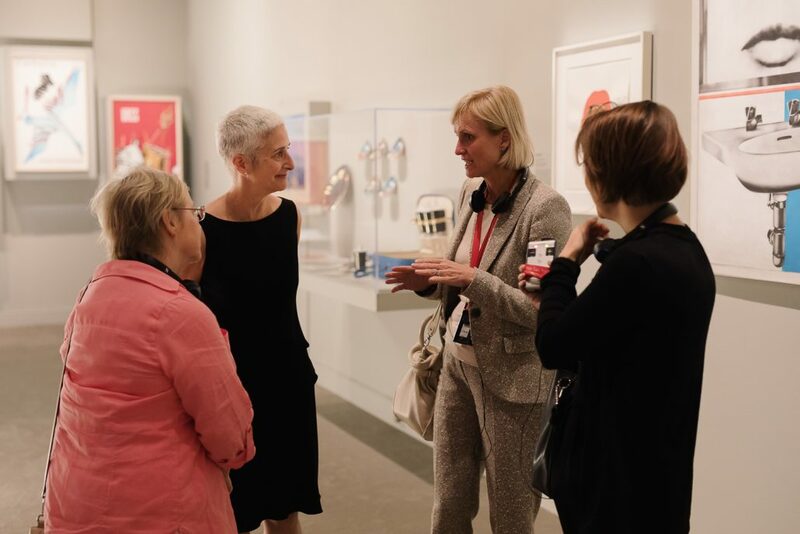 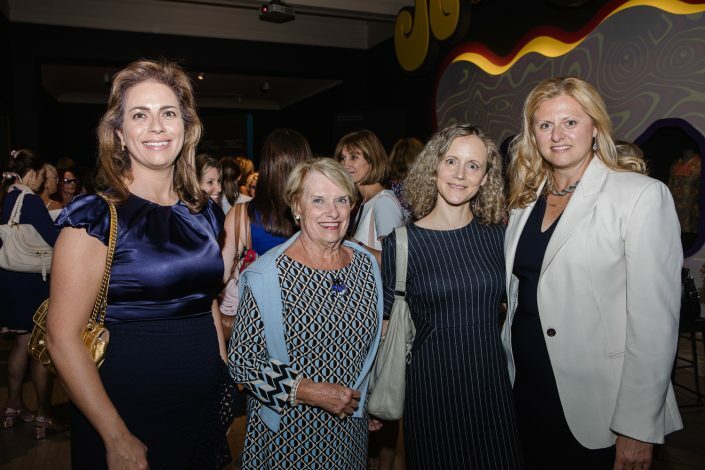 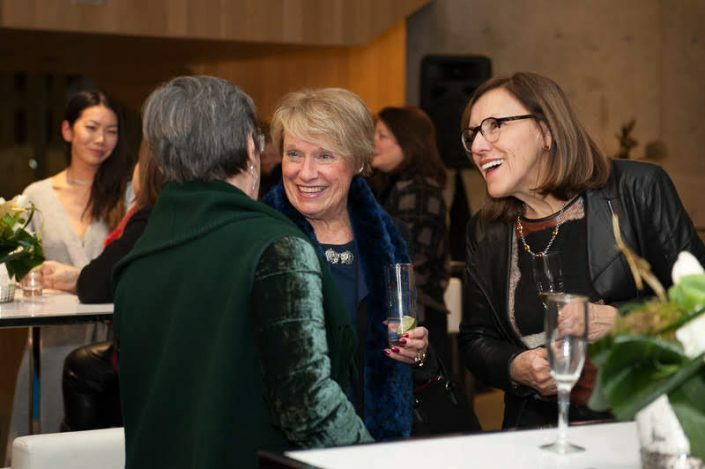 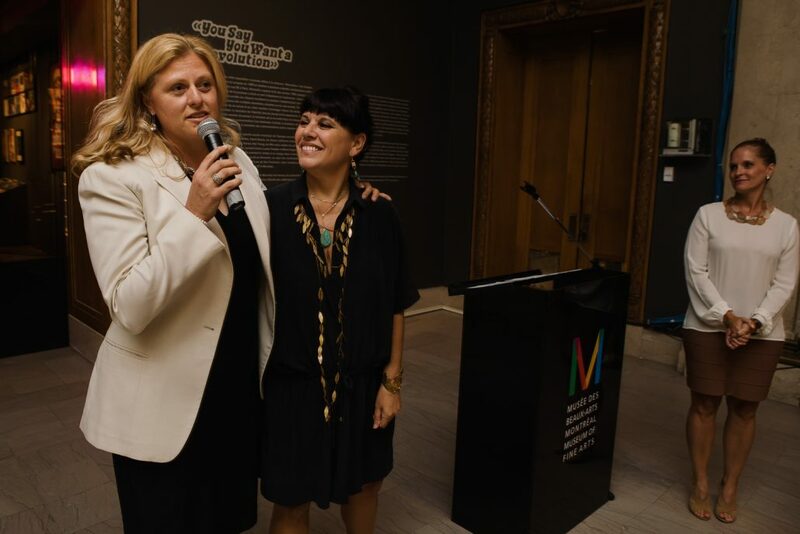 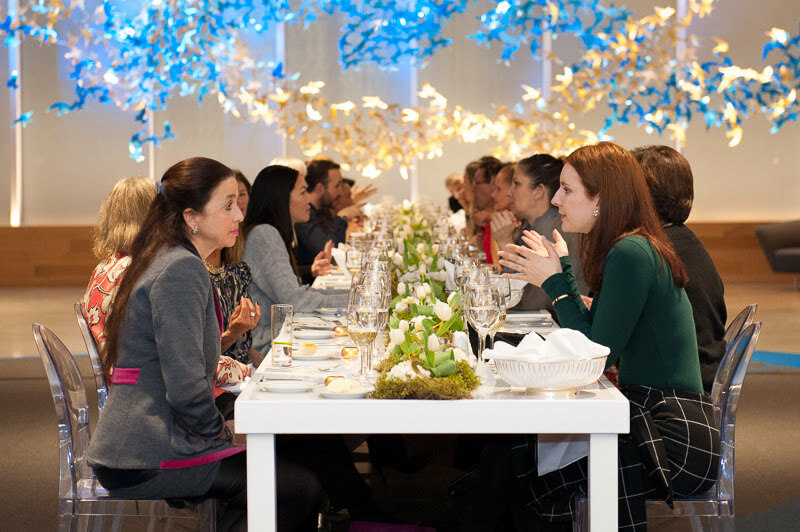 On September 25, members of the MMFA’s Women of Influence Circle and their guests were invited to dive into the heart of the exhibition REVOLUTION “You say you want a revolution” during an intimate evening. 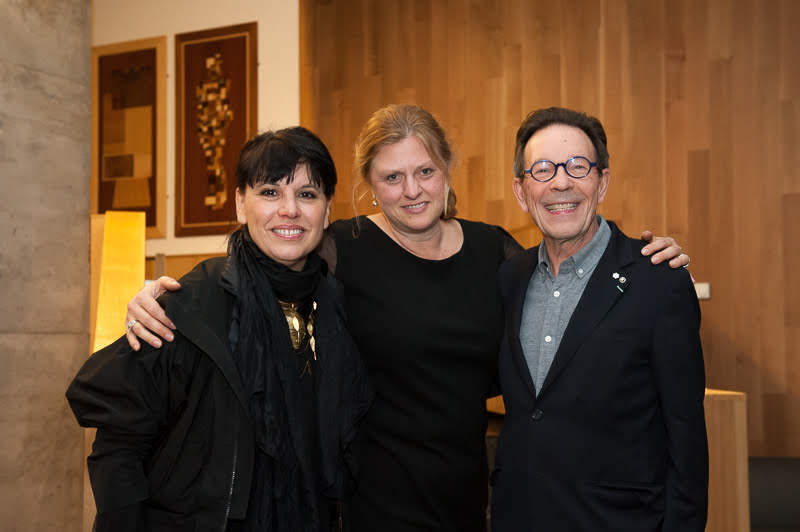 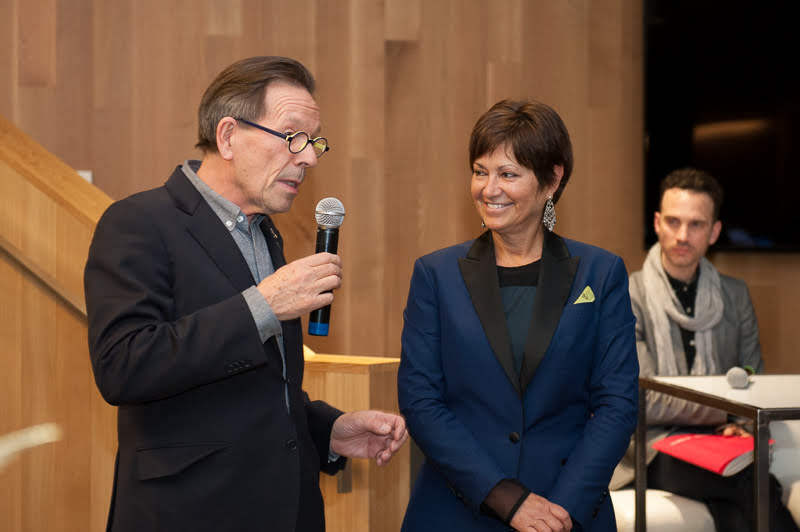 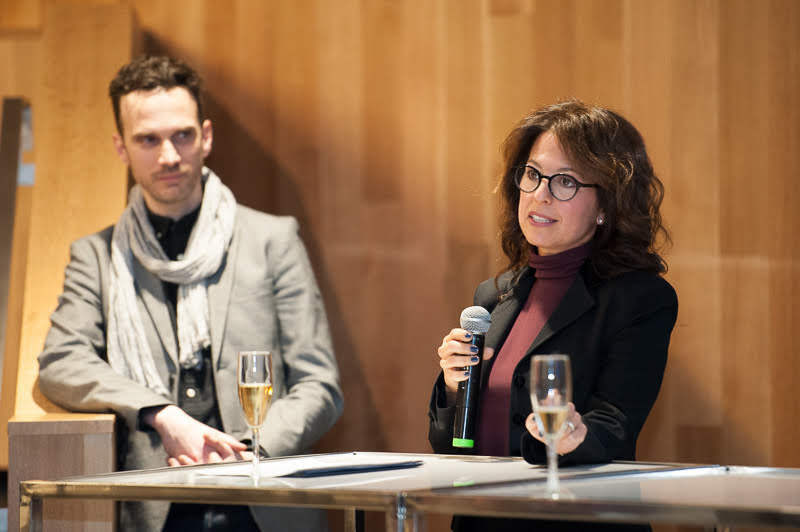 Along with both Nathalie Bondil, General Director and Chief Curator of the Museum, and Diane Charbonneau, curator of the Revolution exhibition in Montreal and Curator of Modern and Contemporary Decorative Arts and Photography, guests were able to reflect on the beliefs and ambitions of society in the late 1960s. 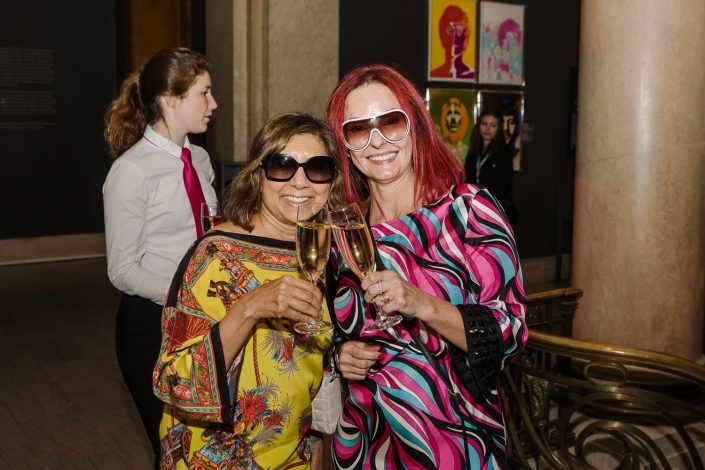 Fueled by groovy tunes, guests followed their rediscovery of the exhibition with discussions on the realities of this effervescent period full of desires and aspirations. They notably focused on women’s role in this era and its evolution into the 2000s.